The IRS has issued final Code Section 199A regulations that describe how to determine the amount of the qualified small business income deduction. 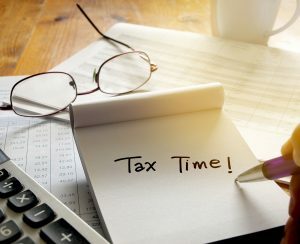 For tax years beginning after December 31, 2017 and before January 1, 2026, non-corporate taxpayers including estates and trusts who have qualified business income (“QBI”) from a partnership, S corporation, or sole proprietorship may claim an income tax deduction equal to the lesser of: (a) the “combined qualified business income amount” of the taxpayer; or (b) 20% of the excess of the taxable income of the taxpayer for the tax year over the net capital gains of the taxpayer for the tax year. The “combined qualified business income amount” for any tax year means an amount equal to: (x) 20% of the taxpayer’s QBI (subject to the W-2 wage limit); plus (y) 20% of the aggregate amount of qualified REIT dividends and qualified publicly traded partnership income of the taxpayer for the tax year. QBI is generally defined as the net amount of “qualified items of income, gain, deduction, and loss” items relating to any qualified trade or business of the taxpayer conducted within the U.S. If the net amount of qualified income, gain, deduction, and loss relating to a qualified trade or business of the taxpayer for any tax year is less than zero, the amount is treated as a loss from a qualified trade or business in the next tax year. QBI does NOT include certain investment items, and does NOT include reasonable compensation or guaranteed payments paid to the taxpayer by any qualified trade or business for services rendered with respect to the trade or business. C section 469), partnership allocation rules (IRC section 704), S corporation rules (IRC section 1366) or similar provisions, are used in order from the oldest to the newest on a first-in first-out basis. The Final Regulations also clarify the rules regarding deduction of net operating losses and excess business losses. Generally a net operating loss (under section 172) is not considered to be incurred with respect to a trade or business and is not taken into account in determining QBI. However, an excess business loss (under IRC section 461) is treated as a net operating loss carryover to the following tax year and is taken into account for purposes of computing QBI in the subsequent tax year in which it is deducted. EXCESS business losses are not allowed for the tax year when incurred, but are carried forward and treated as part of the taxpayer’s net operating loss carry forward in subsequent tax years. An EXCESS business loss for the tax year is the excess of aggregate deductions of the taxpayer attributable to all the taxpayer’s trades and businesses, over the sum of aggregate gross income or gain of the taxpayer plus a threshold amount. The threshold amount for a tax year is $500,000 for married individuals filing jointly, and $250,000 for other individuals, with both amounts indexed for inflation. All deductions attributable to a trade or business should generally be taken into account for purposes of computing QBI except to the extent otherwise provided in IRC section 199A. For example, the deductible portion of the tax on self-employment income (IRC section 164), the self-employed health insurance deduction (IRC section 162(l)), and the deduction for contributions to qualified retirement plans (IRC section 404) are considered attributable to a trade or business to the extent that the taxpayer’s gross income from the trade or business is taken into account in calculating the allowable deduction. through entity (“RPE”) directly conducts multiple trades or businesses, and has items of QBI which are properly attributable to more than one trade or business, the individual or RPE must allocate those items among the several trades or businesses to which they are attributable using a reasonable method based on all the facts and circumstances. Once a method is chosen for an item, it must be applied consistently with respect to that item. The Final Regulations are effective when published in the Federal Register. However, taxpayers may rely on the proposed regulations for tax years ending in calendar year 2018. If you have questions about the qualified business income deduction or any other federal or state income tax matter, please call one of our tax and business attorneys at 937-223-1130 or Jsenney@pselaw.com.